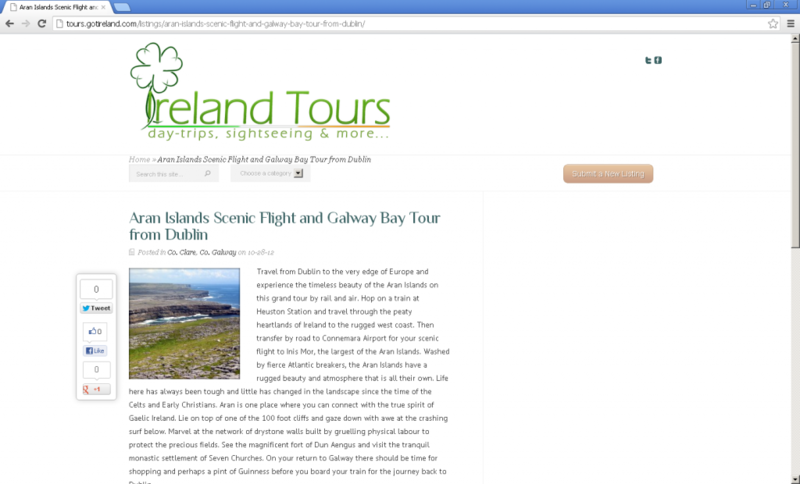 I’ve been putting the finishing touches on a new website, that advertises tours and destinations around the country, that are of interest to tourists visiting Ireland. 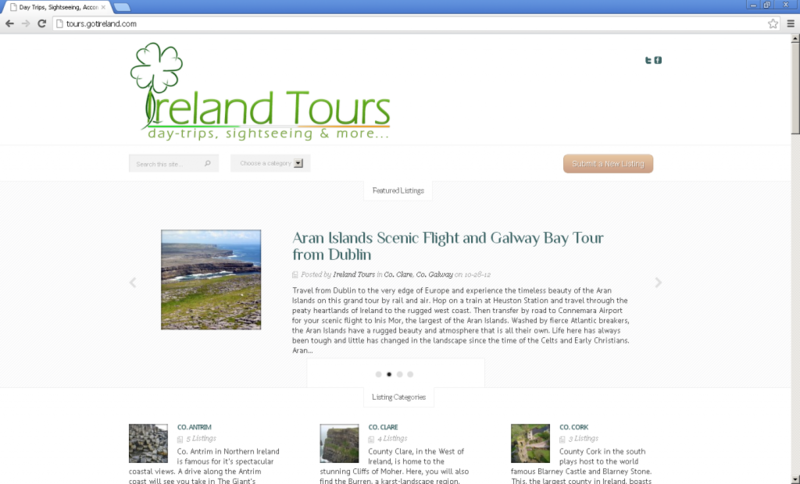 The website currently is listing tours in 10 counties, and in many different categories. It is open to new submissions from tour operators (or other tourist amenities – accommodation, walking tours, fishing excursions, events, day trips etc), and I hope you have time to take a look. A simple, yet elegant design, showing featured, categories and individual listings on the homepage. Individual postings are complete with a dedicated URL, featured photo, description and social options for sharing. Additionally the individual postings are designed to show a reference map and other pertinent information for your listing. Recent listings appear on the homepage and on their associated category page, complete with thumbnail photo and description excerpt. 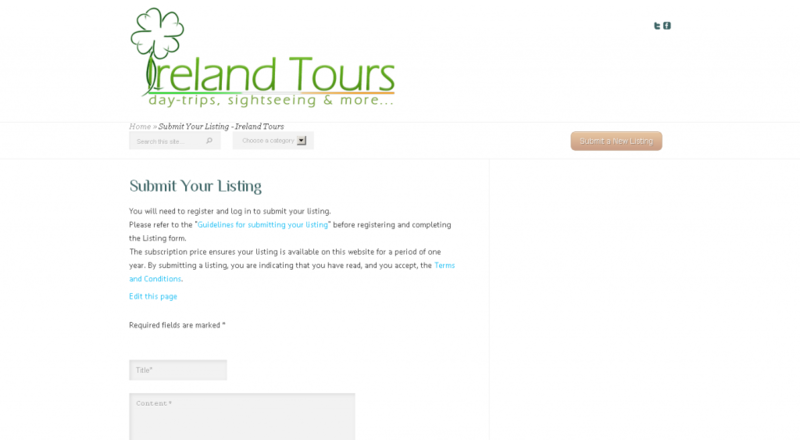 You can use the website to advertise your Irish tour or service, or you can use the contact form to discuss further details. Well there you have it! If you’re a tour operator, I hope you consider listing your tour on the new site. Make sure you check out the full list of benefits to adding your listing. And if you’re a tourist…enjoy the tour options! What a great idea, Liam! Best of luck with this wonderful project. 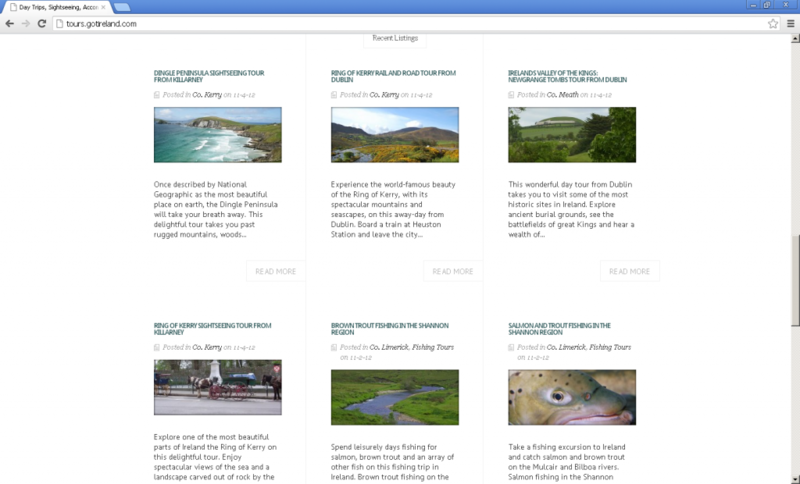 We love travelling around Ireland as a family so this will be a great help to us. Thanks Liam. Thanks Martine. Looking forward to getting more tours and tour info on there in the next couple of weeks. Another grand idea Liam. All the best with it. 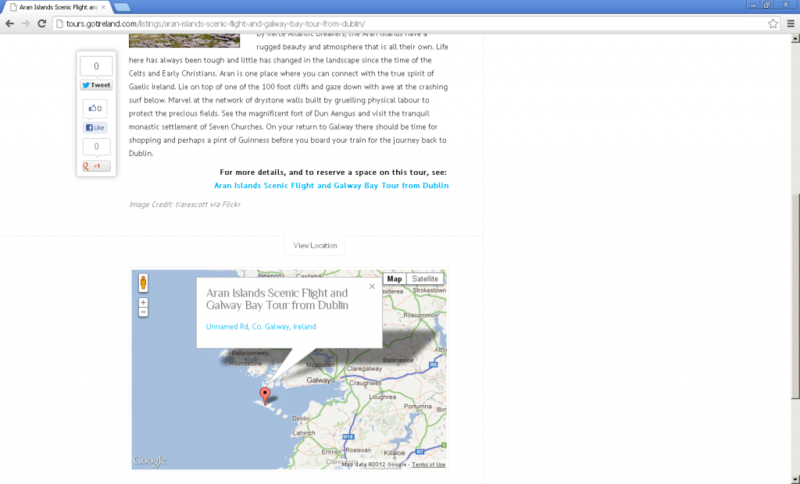 The new site looks lovely, and should be very useful, well done. I was just looking at submitting, and it seems there is a charge? But I can’t find any information on pricing or subscriptions. Thanks for getting in touch. I hope you received my email in response to your question.